Are you going through a divorce or separation? Or are you looking at your options before you make your decision? Divorce and separation can be highly stressful and difficult life events. It is very important that you understand what is involved, and make the right decisions as you navigate some of the more contentious issues such as spousal maintenance and child support. For a strictly limited time, our principal lawyer, Prav Singh-Pillay is offering free phone consultations to help answer any questions you might have about divorce and separation. These are confidential, private, one-on-one phone calls that are scheduled at a time that suits you. The calls can last up to 30 minutes, are completely free of charge, and there is absolutely no obligation to use our services. 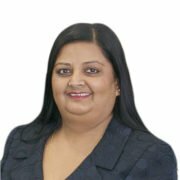 If you have any questions at all about divorce and separation, you can use this time to ask Prav and she will answer them for you. – What are the different paths you can take when going through a divorce or separation? – What steps can you take to reduce the stress of separation? – How does spousal maintenance work and when is it appropriate? – How can you respond to a call for spousal maintenance? – What process is used to determine child support? – When and how can you apply to change the amount paid for child support? Prav will also address any other questions you might have, and show you how to protect your interests and the interests of your loved ones. If you would like to book your free 30-minute call, just fill out the form below and let us know the best time and way to contact you, and we will be in touch. Contact Cornerstone Law Offices to arrange a consultation with our experienced Lawyer.